Today’s world takes place primarily on the internet, from shopping for clothes to finding the right insurance, more and more people are turning to the internet for tips and for their day to day needs. The internet is a convenient method for most people, and it can save time, as well. Search engines are used more and more to find the things that people need, and to recommend the sites they should seek out in order to find what they want. For this reason, internet marketing is essential in today’s business world. Search engine marketing is just one part of an internet marketing system, but it is an extremely valuable one. 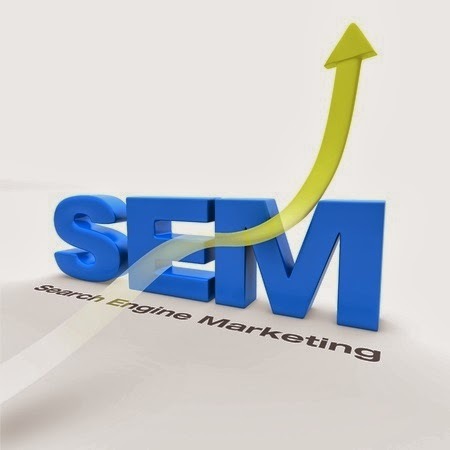 Search Engine Marketing, otherwise known as SEM, is promoting websites by increasing their visibility on search engine results pages. Basically, SEM is making sure that a specific website is going to show up on a search engine results page, preferably closer to the top of the list. It’s a way to make sure that web content is compatible with frequently searched keywords; increasing the chances that the site has of reaching the top of the search engine results page when those keywords are searched. In today’s world of internet searching and internet shopping, it is necessary for a business to utilize search engine marketing in order to maximize growth and revenue. · Keyword Research: Knowing what keywords are the most popular and relevant for a site and its products is one of the key steps in ensuring that a site can appear higher on a search engine results page. Doing the research to understand what these keywords are, is a crucial first step to maximize a website’s presence and visibility on a search engine. However, it is also necessary to be sure that the keywords are used on the site in the right places, and with the right amount of repetition. Using a keyword once won’t guarantee a sunny spot on a search engine results page, but using it enough will. · Backlinks: Increasing popularity of a site will make it more likely that a search engine will rank that site higher on the search engine results page. This can be achieved through backlinks, or linking to the site from another site. Enough backlinks can ensure that a site has increased visibility online. There are many other methods to ensure that a site has the best visibility possible on a search engine results page. When it comes to running a business, it is crucial to have a strong online presence in order to reach new customers, and in order to raise revenue at its highest possible amount. An internet marketing strategy is important to have and making search engine marketing a part of that strategy can significantly increase a business’s traffic, popularity, and customer base.